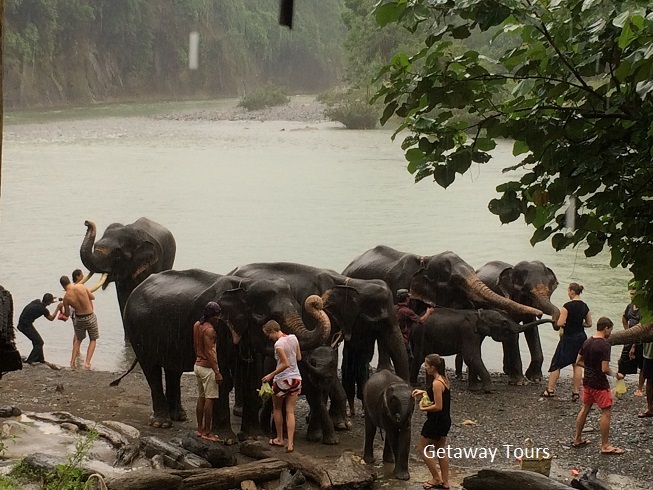 Every morning and afternoon visitors can join bathing elephant at Tangkahan at Batang Serangan river. 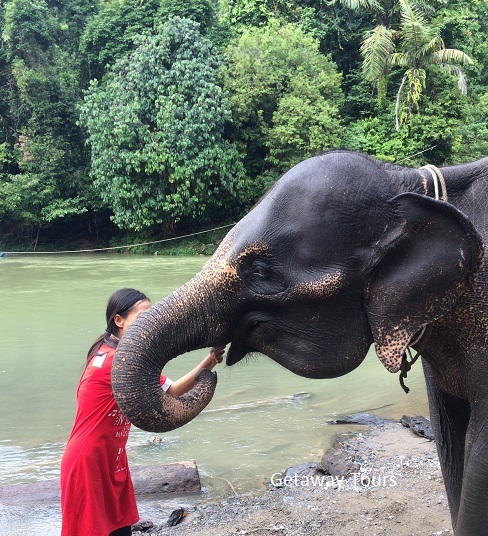 The elephant herd are used to patrol for illegal logging in the jungle. 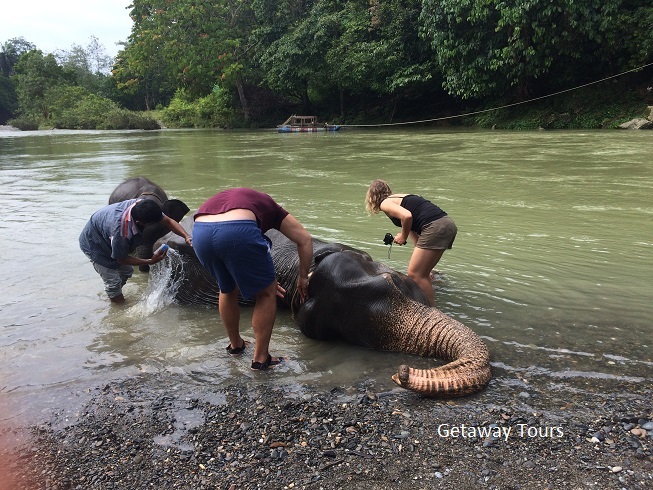 Visitors bathing elephant at Batang Serangan river. There are some other activities can be enjoyed in Tangkahan. 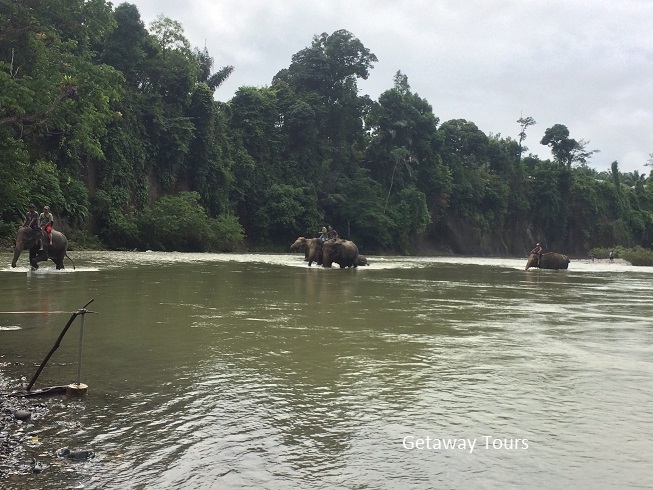 Such as tubing along Batang Serangan river, jungle trekking and there are some waterfalls located nearby. Tangkahan can also be visited customized tour with another destination nearby: such as Bukit Lawang for Orangutan Jungle Trekking, Lake Toba and Samosir Island Tour, Berastagi Tour, Mount Sibayak Trekking and Medan Tour. For customized tour please contact us.